Aya-no-tetsumugi-senshoku-kobo (Aya Dyeing & Weaving Studio), directed by artist Masakazu Akiyama, is located in Aya Town in Miyazaki Prefecture. Aya Town is blessed with abundant natural resources of water, greenery and sunlight, and is well known as the hometown of textile arts. At the studio, every step of the production process, from cultivating silkworm cocoons, reeling and refining silk thread, to dyeing and weaving is carried out following ancient methods. 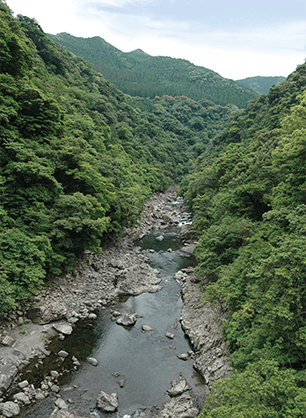 The Aya River provides mineral spring water perfect for dyeing, and the local forests provide ideal plants for making dyes. 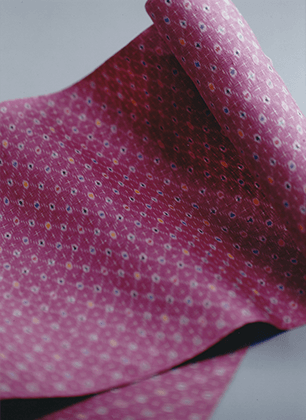 In this favorable environment, Aya-no-tetsumugi Studio has been successful in recent years in reviving the production of purple dyes from the visceral glands of shellfish and natural indigo, and has attracted nation-wide attention. 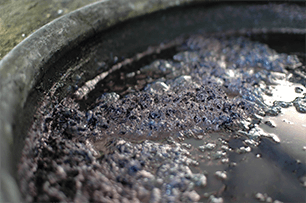 In the unsurpassed beauty of Aya surrounded by broad-leaved forests and natural springs, the old, traditional way of indigo dyeing using only time-honored methods and natural ingredients is still practiced. 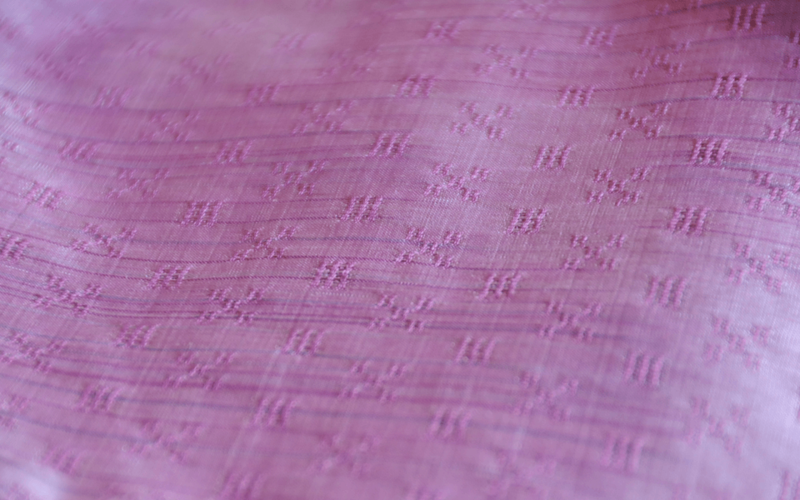 Without the use of any man-made chemicals, living indigo dye with a lustrous color gently soaks into the silk thread. 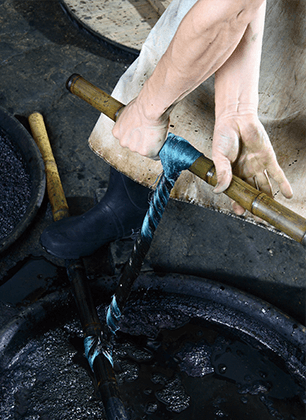 Throughout the dyeing process, each step and detail is meticulously performed by hand, according to ancient methods. Known as the world’s most precious color, this purple dye is made from the visceral glands of shellfish and was first developed by the ancient Phoenicians in the Eastern Mediterranean. Exceptionally valuable due to its extreme rarity, this dye was known as Syrian Purple in the Mediterranean region and was used solely for the ceremonial robes of emperors and royalty. As a result, this unique color has also been known as Imperial Purple or Cleopatra Purple. With the decline of the Roman Empire, this dye also disappeared, earning it a legendary status. 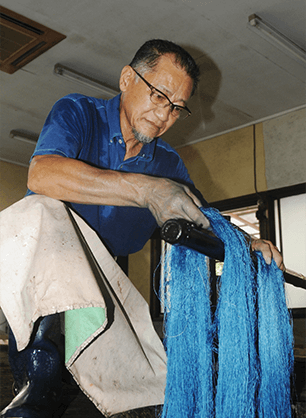 Textile artist, Masakazu Akiyama, discovered that this special dye could also be extracted from akanishi-kai shellfish of the Ariake Sea, and he succeeded in developing his own extraction method. 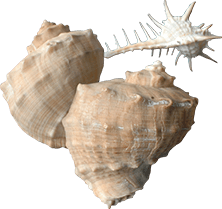 Illustrating its rarity and value, 270 shellfish are necessary to produce only one gram of dye. 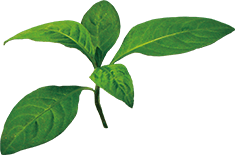 This name is given to a rare specie of pure white silkworm. 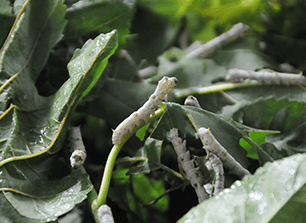 The Koishimaru silkworm is said to be the original used in sericulture in ancient Japan. 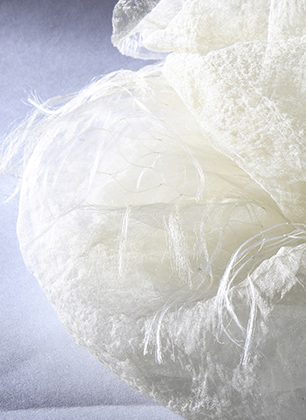 The silk strands from the cocoons of these silkworms are the finest of all varieties and have a particularly high tensile strength, providing superb qualities to the thread and textiles woven from it. 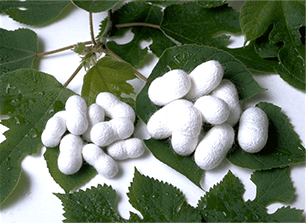 However, as the amount of thread obtained from each cocoon is extremely small, silk producers began to favor more economical varieties causing the production of Koishimaru silk to fade over time. 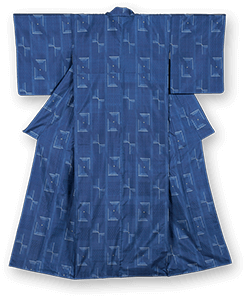 This loss earned textiles made from this thread the title “The Silk of Legends.” Today, Koishimaru silkworms are almost exclusively reserved for the Imperial Household where they have been cultivated by several generations of the Imperial Family at the Momijiyama Imperial Silkworm Farm. 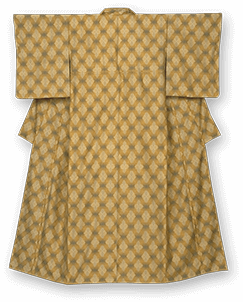 After years of effort, Masakazu Akiyama became the first person to once again successfully commercialize Koishimaru silk. Copyright © Aya Dyeing & Weaving Studio. All Rights Reserved.